ESTIMATOR required for a small dynamic company based near Dunmow, that supply high quality doors, windows and other construction products together with the installation service. We are looking for someone experienced and with sound technical knowledge, the successful candidate will be required to prepare, submit and follow-up on quotations assist with bids for new contracts prepare tender documents work on bills of quantities from architectural drawings on occasions going to site to measure for production purposes undertake cost & risk analysis planning of jobs and timescale monitoring of stages throughout projects give technical advice and recommend solutions You should have good communication and time management skills, be conscientious, self-motivated and able to recognise opportunities for the Company, be commercially aware. We are seeking a professional Electrical Estimator and individual who has the background and experience costing large contracts with an Electrical bias. We are a direct national refurbishment contractor with high value clients working on long term stable agreements. This opportunity will require travel regionally as you will be required to meet and cost potential works (large value contracts) for the business. Having held a similar role either as a business owner or working for a direct contractor previously your skills, background and knowledge will be highly valued. A specialist large-scale fabricator of a wide range of aluminium and uPVC products are actively recruiting for a Technical Manager, to be based out of their office in South Hertfordshire. As Technical Manager you will be managing a team of Estimators and Order Processors and be the first point of call for any escalated issues and supplier liaison. Applicants must have extremely good technical knowledge of Aluminium Window and Door products, including u values and acoustics etc. You will need an understanding of aluminium systems and have working knowledge of Logikal. For more information or to apply for this role please contact Sarah quoting reference MM1235. Quantity Surveyor / Estimator Abingdon, Oxfordshire £45,000 - £60,000 Per Annum, DOE To scale up the delivery of low carbon homes until they can no longer be ignored by the mainstream house builders. This is an opportunity to join a great company with great people who are professional, customer-focused and passionate about what they do. 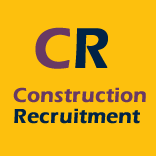 Quantity Surveyor / Estimator Role: Due to the company expanding over the last year, our client are now in need of a Contract Surveyor / Estimator. The successful applicant will likely be involved in all aspect of a project from producing and analysing costing prior to contract, to negotiating sub-contractor scope of works and terms of the award, also assisting with the procurement of materials required on site to complete any given project. They will also be required to develop the companies cost management process for current and completed projects, to allow detailed analysis of each projects budgets vs actual, so that the data can be feedback into pricing of future projects. Quantity Surveyor / Estimator Responsibilities: Working with the Project Manager, you will be required to collate and issue sub-contract tenders and contract documents, including specifications and bills of quantities which are to be submitted to the client and/or sub-contractors, identify, analyse and develop responses to commercial risks, prepare and analyse costings for tenders. You will contribute to the management and maintenance of a contract cost reporting ensuring all financial information is managed and up-to-date and tracked with budget/tender allowances, commitments and deviations highlighted and managed. Monitor cash flow and valuation plan, ensuring applications are made correctly and in a timely manner and ensure contract variations are identified, valued and turned into agreed variation orders with are in turn correctly applied for with the customer in a timely manner. The successful candidate will need to contact a range of suppliers from time to time to obtain quotations and agree delivery times. They may also be required to be involved in negotiating and agreeing the most favourable terms for our client. Our client would also like you to be ensuring that materials and services comply with the company and current legislations health, safety and environment policies and requirements. Other duties may need to be completed, which assist other functions within the company The ideal candidate will have: 5 years' experience in a commercial role. A good understanding of both JCT and NEC contracts Ability to work to deadlines Prepared and submitted estimates for development works Provide commercial advice and support to construction and development project works Manage, administer and co-ordinate all types of contracts and sub-contracts, cost control systems, and work measurements Able to analyse and make decisions based on facts and sound evidence Our client operate a 40 hour working week, these are to be completed between 0700 to 1800 Monday to Friday. Holiday entitlement will be 20 days for a full year worked running 1st January to 31st December plus all Bank and Public Holidays, therefore, a start date after January will effect a pro-rata'ed holiday entitlement. Please note you will normally be required to reserve part of your annual entitlement for a Christmas period shutdown. However, it might be possible to work some of this time to balance holidays at other times of the year (subject to particular projects at the time). There is currently a work place pension scheme, which is 2% contribution by our client. Your designated place of work will be in Abingdon, however, you may need to go to sites or the factory from time to time, when working from home there can be more flexibility. Our client will provide you with an appropriate computer, printer and software to allow you to do your job. Our client will pay an agreed mileage rate of 45p per mile (reducing to 25p after 10,000 miles) for the use of your own vehicle, or standard class train fare, when going to places for work (other than the office). Jackie Kerr Recruitment is an independent agency that has been established for 21 years. We strive to provide the ultimate consultancy service to all our candidates. Whether you are looking for permanent or temporary work we pride ourselves in understanding our candidate's requirements to ensure that we place you in your ideal role. We have recently heavily invested in new Recruitment Software that provides an online portal. Simply visit jackiekerrrecruitment. com to enter your details and you will receive job alerts, hot off the press. The portal enables you to update your information and CV at any time, so we always have your latest employment details on record. So please visit our website and let us help you to find your dream job!